Been a long time since you Rock'n'Rolled? NO STAIRWAY, the brilliant Galway Led Zeppelin tribute band, fronted by the multi-talented phenomenon that is Steven Sharpe, play the Róisín Dubh next week. 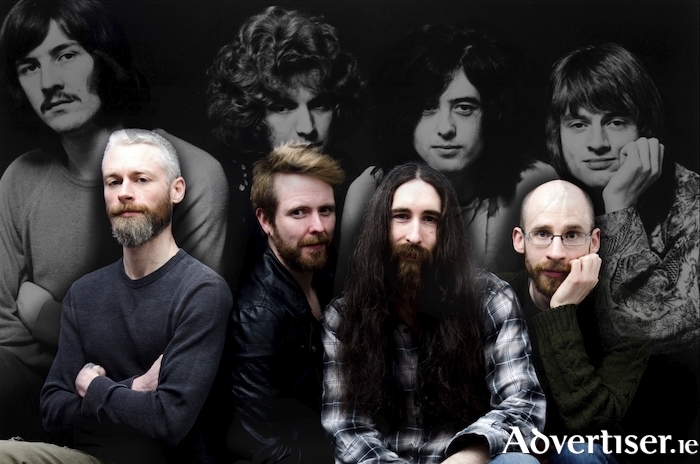 The band - Steven Sharpe (vocals ), Ronan O'Malley (guitars ), Bill Dunne (drums ), Shane O'Malley (bass/keys ) - aim to recreate Zeppelin's live presence and studio albums as faithfully as possible. Expect to hear classic songs and some overlooked album tracks, as well as see the use of a ghoulish theremin and a double-neck guitar (as played by Jimmy Page ). Been a long time since you rock'n'rolled? Get to No Stairway in the Róisín Dubh on Sunday September 29 at 9pm. Admission is €10.